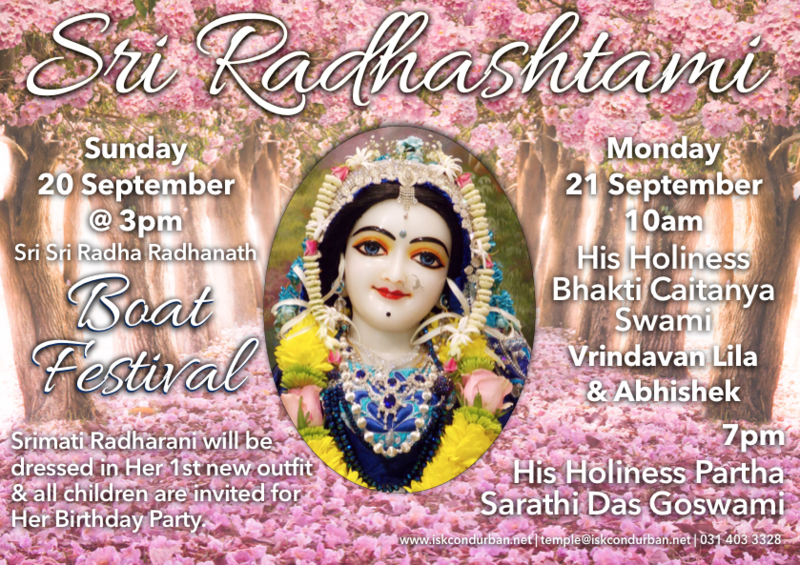 We celebrate the Supreme Goddess, Srimati Radharani this weekend. 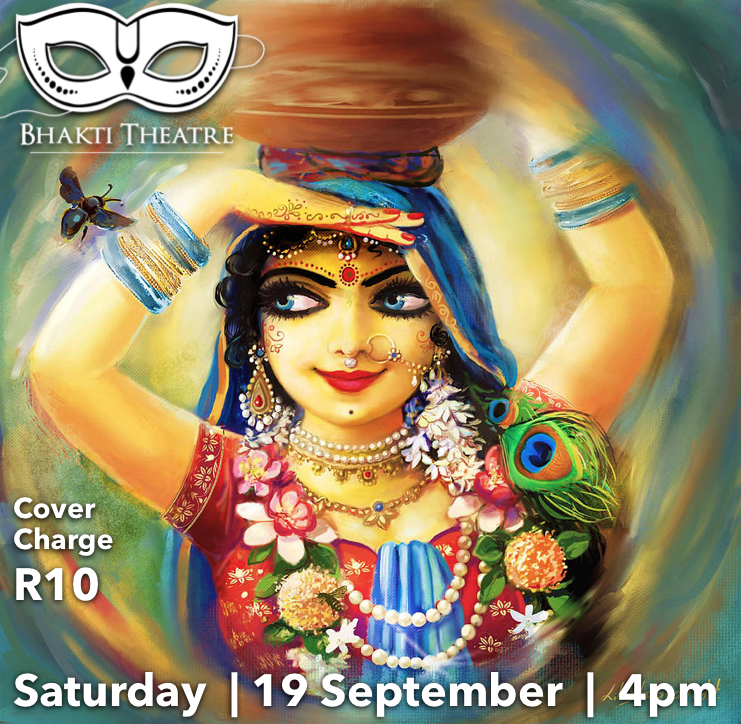 The celebration begins at Bhakti Theatre staging the drama “Radharani & Her Girlfriends.” On Sunday, Sri Sri Radha Radhanath will be offered Their first new outfit, children will be treated to a birthday party, we will take Sri Sri Radha Radhanath for a boat ride and thereafter honour Srimati Radharani by lighting the evening sky with lanterns. 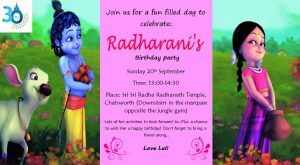 Sri Radhashtami on Monday, 21 September is an all day festival. 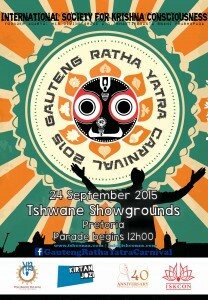 Sri Sri Radha Radhanath will be offered four new outfits throughout the day with a special surprise in each darshan. 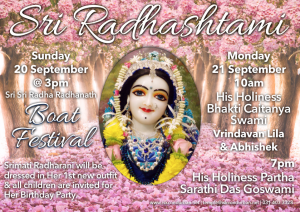 His Holiness Bhakti Caitanya Swami will walk us through the groves of Vrindavan with his captivating narrations of the pastimes of the cowherd damsels of Vraja and His Holiness Partha Sarathi Das Goswami will reveal the depth of Srimati Radharani’s position. 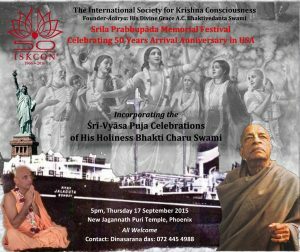 Who is that Girl Next to Krishna? 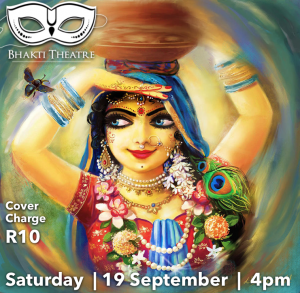 Do not miss the drama Radharani & Her Girlfriends. Rain is predicted so we have set up a cosy theatre in the marquee. BYS Cafe will take care of your food and drink requirements. The Deities will receive Their first new outfit. 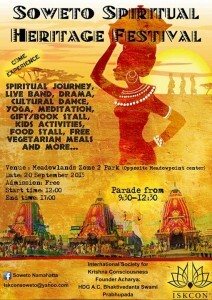 You can offer a “Happy Face” to Sri Sri Radha Radhanath during the boat festival. Cost per flower is R5. Sky Lantern Festival in honour of Srimati Radharani. 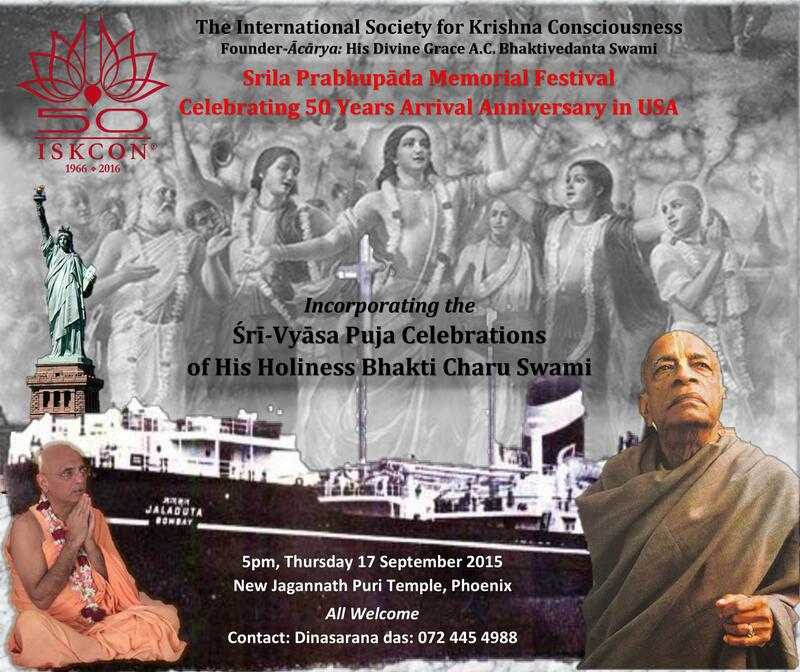 This will take place after the boat festival on Sri Sri Radha Radhanath’s return to the temple. Devotees can gather in the car park and ready their lanterns and Sri Sri Radha Radhanath will witness the sky lantern festival from the bridge. 9:00pm Final darshan of Sri Sri Radha Radhanath. This is the special fan darshan. Everyone is invited to purchase a fan for R5 to fan the Lord. As usual you may make/write birthday cards. 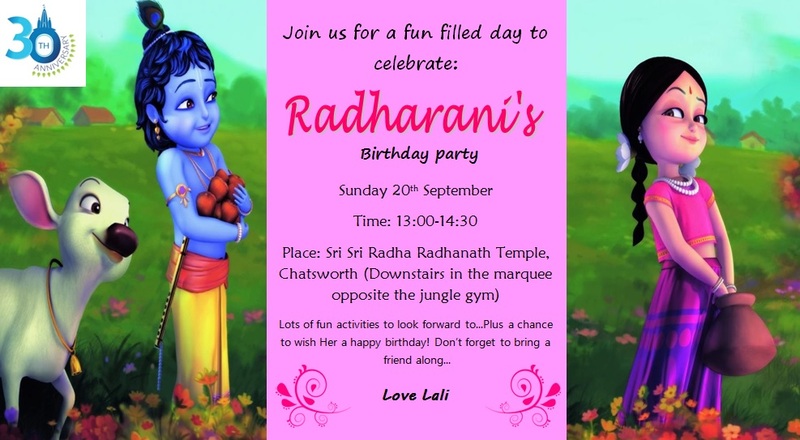 Keep your eye out on Facebook for the “Letters to Radharani” submission post. 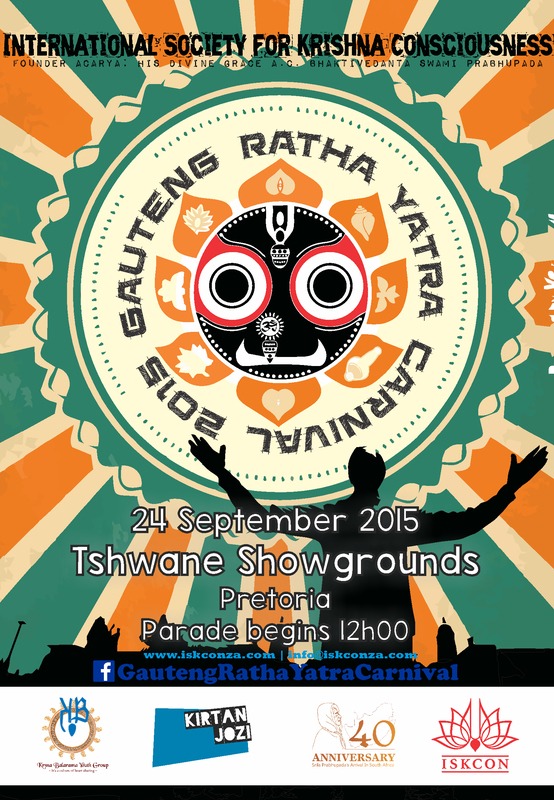 ISKCON Pretoria Ratha-yatra Carnival at Gauteng Social Cohesion Carnival.